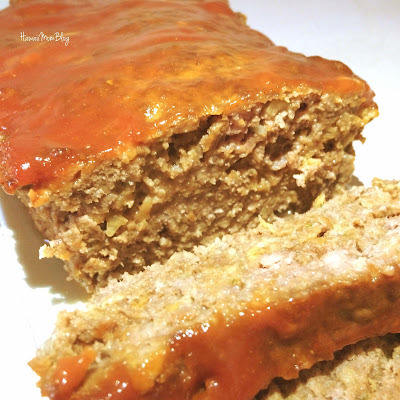 My family loves whenever I make meatloaf - which is actually very rare, since I don't eat a lot of beef. But I did make meatloaf recently, and everyone in my family devoured it. It's a super easy recipe, and if my family is lucky, one that I'll make more often! In a small bowl, combine ketchup, sugar, and mustard. In a separate medium bowl, mix together the ground beef, bread crumbs, onion soup mix, and eggs until combined. Mix in half of ketchup mixture. Pack beef mixture into prepared loaf pan. Spread remaining ketchup mixture on top of meatloaf and bake uncovered for 10 more minutes.